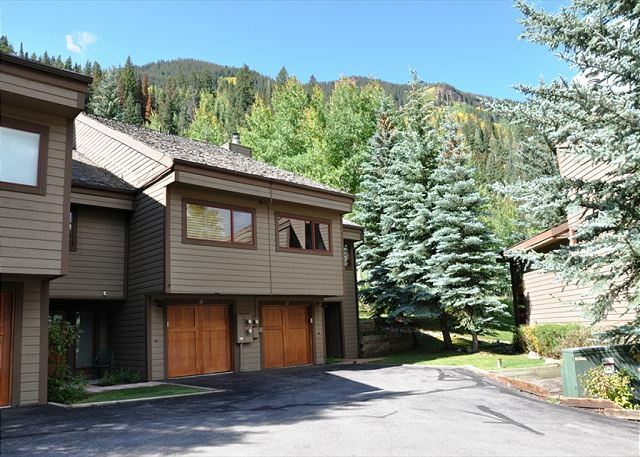 Gorgeous Spacious 4 bedroom Townhome #27 w/ Garage and Views. 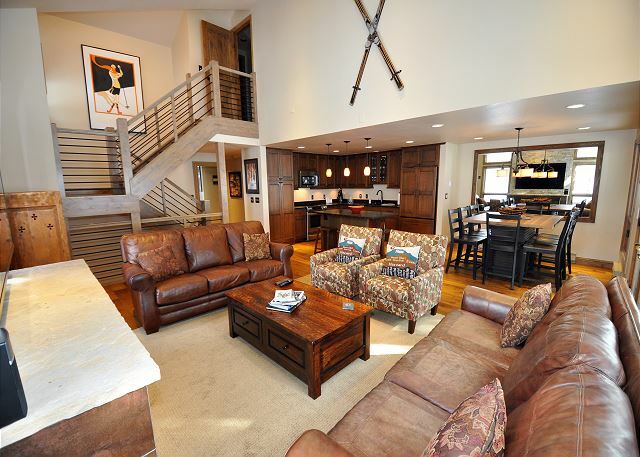 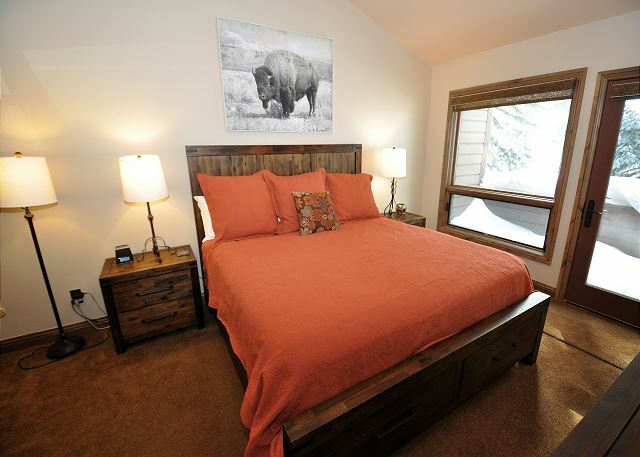 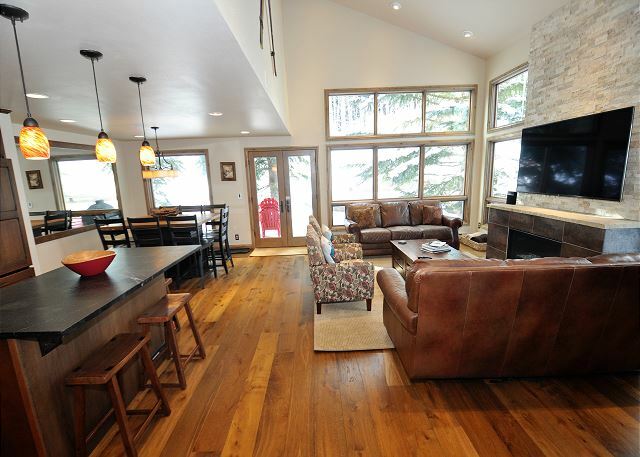 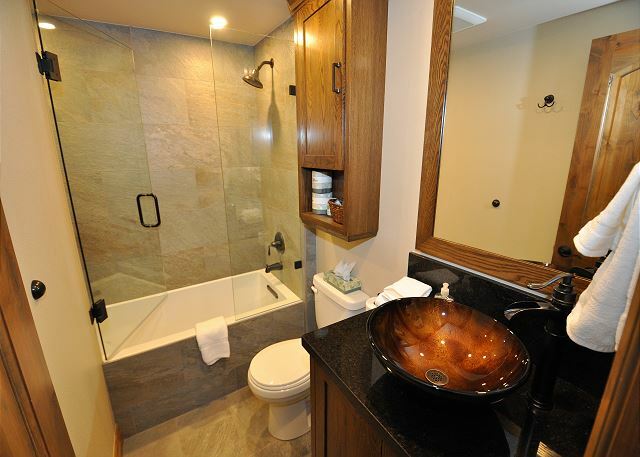 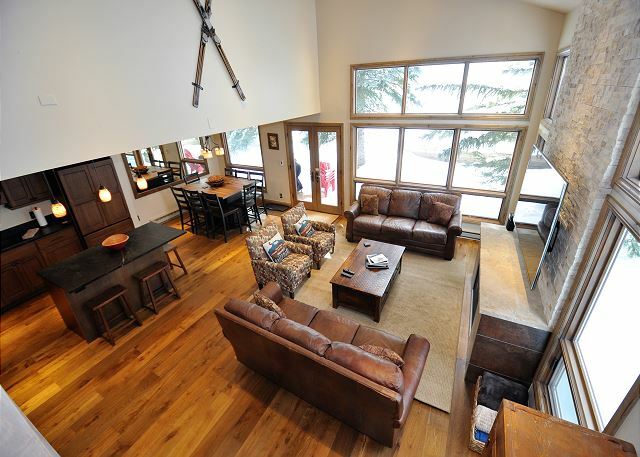 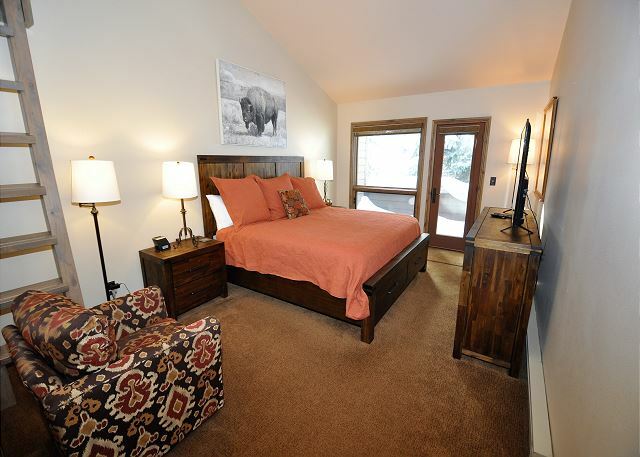 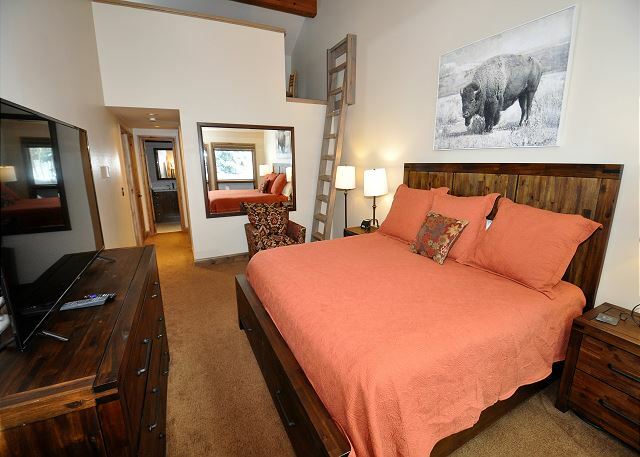 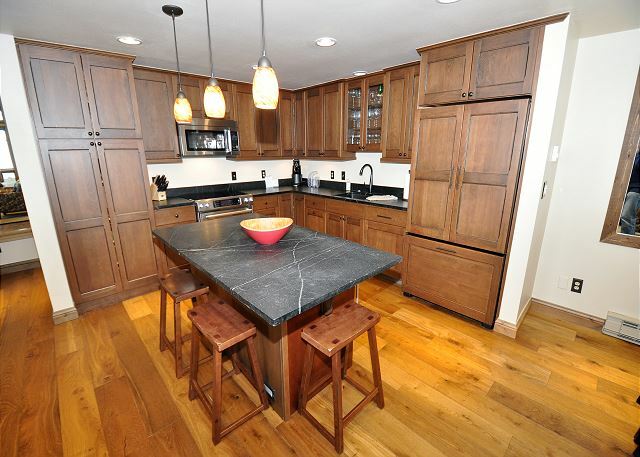 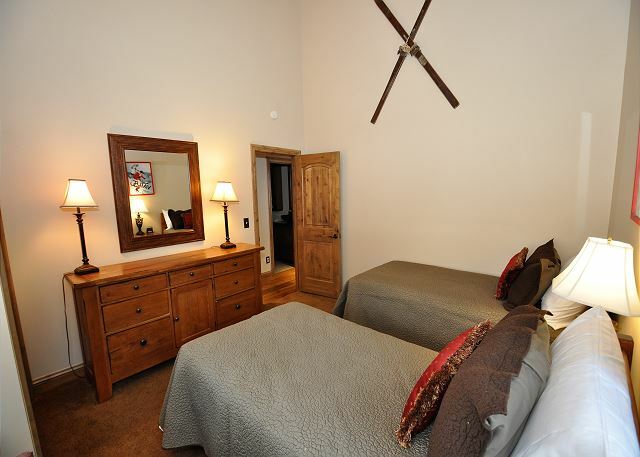 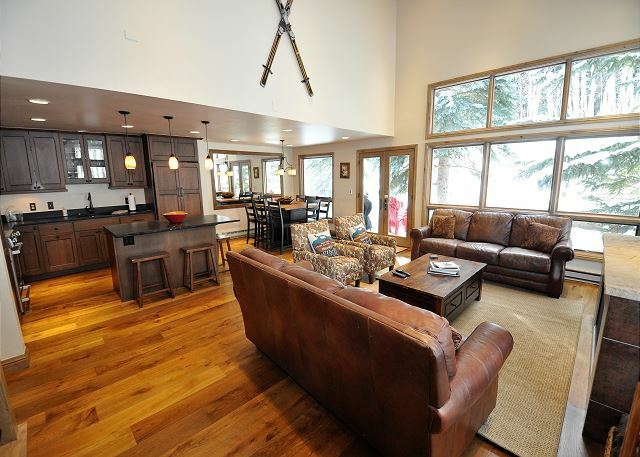 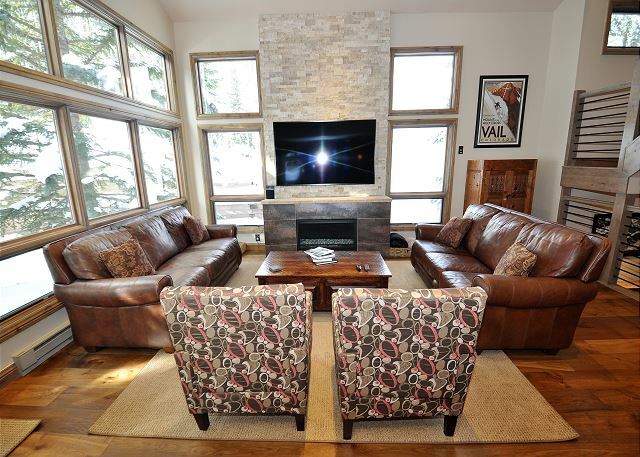 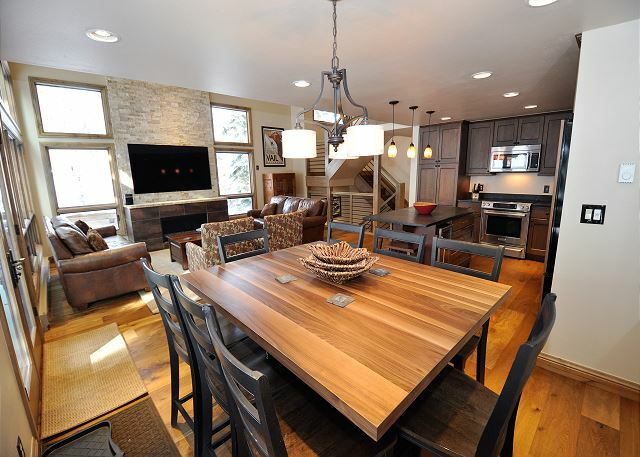 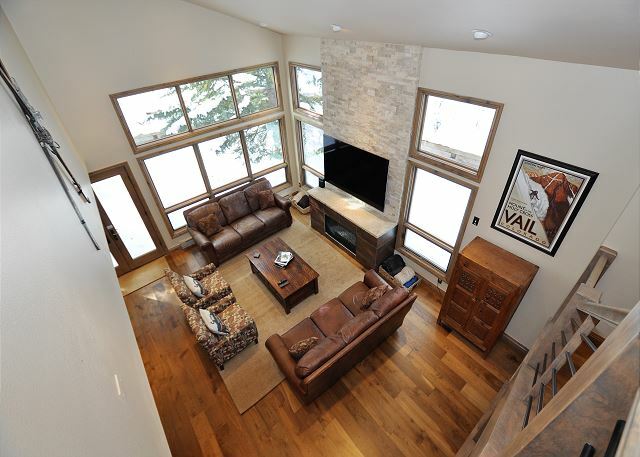 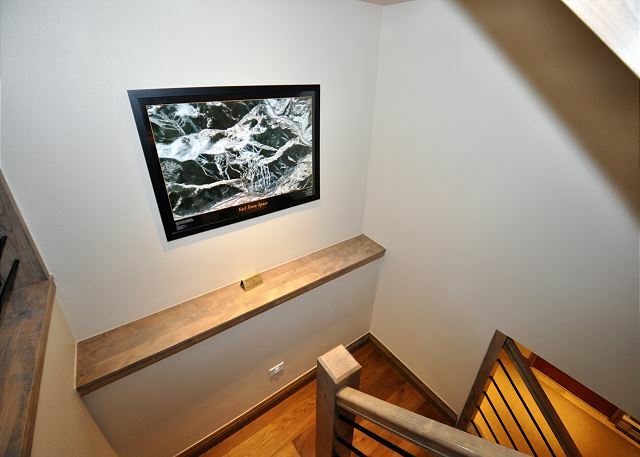 Managed by Gore Creek Properties, this spacious 2600 square foot townhome is situated in a quiet East Vail location. 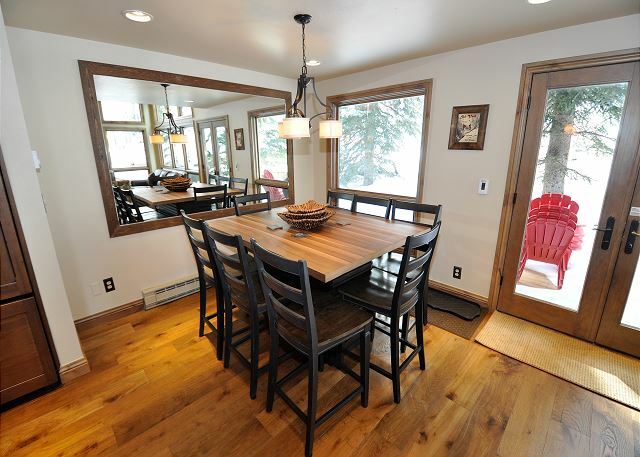 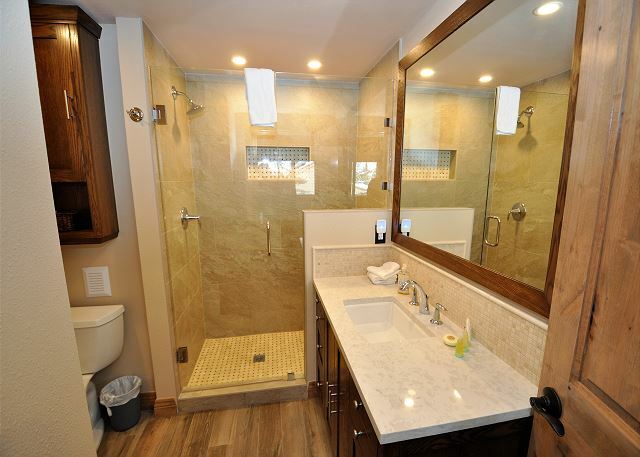 This home was completely remodeled within the past year and has a platinum rating. 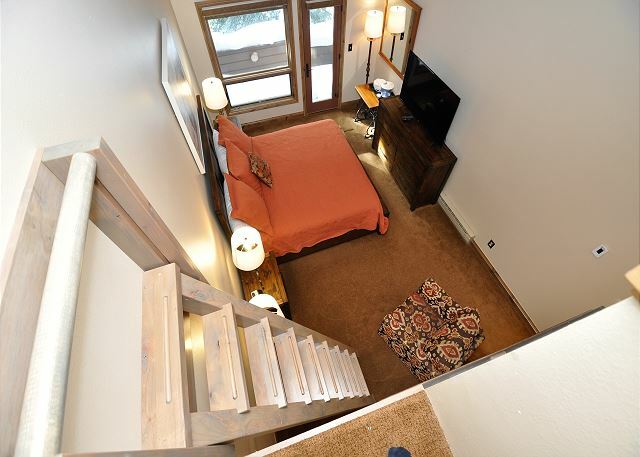 It has 3 bedrooms and a large lower level acting as a second living area and bedroom. 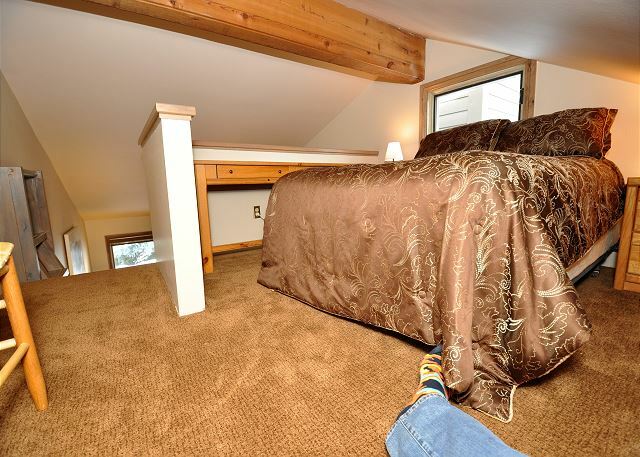 There are two day beds or 4 singles in this den. 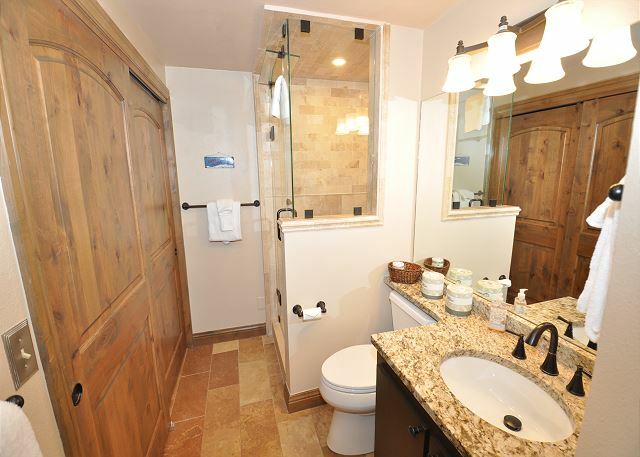 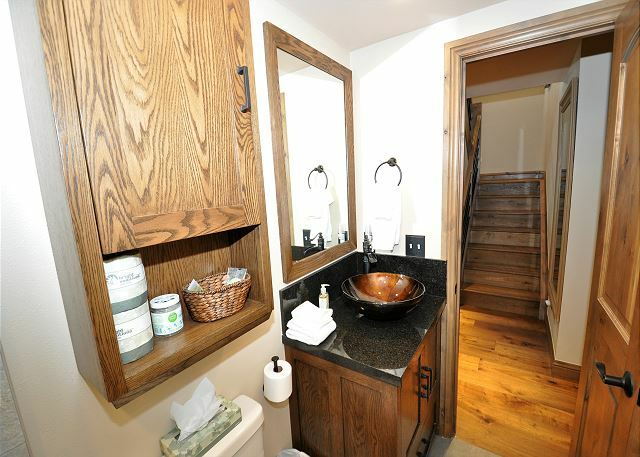 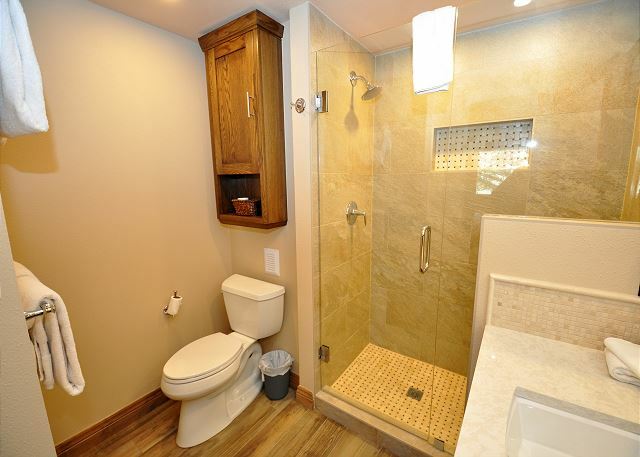 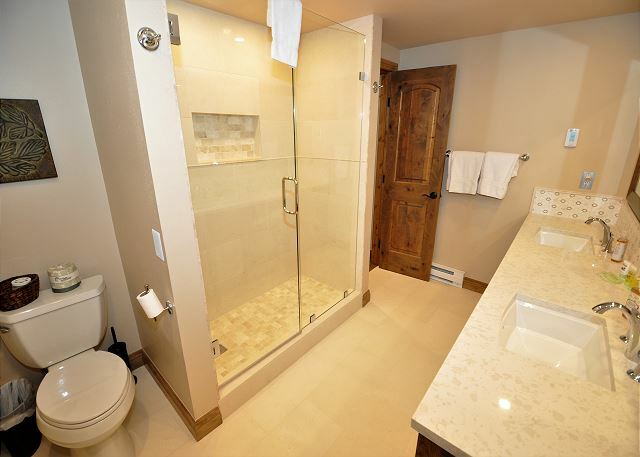 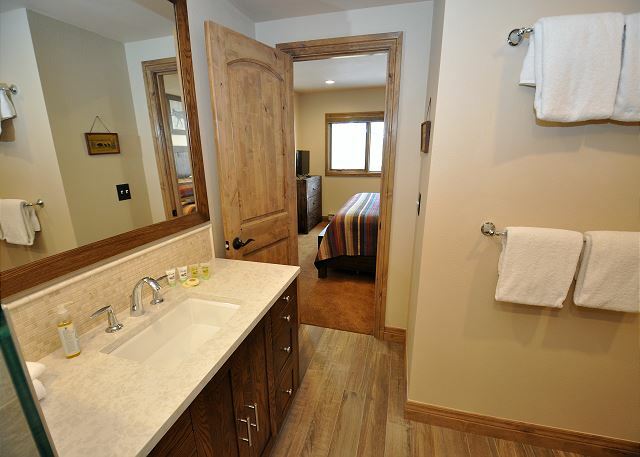 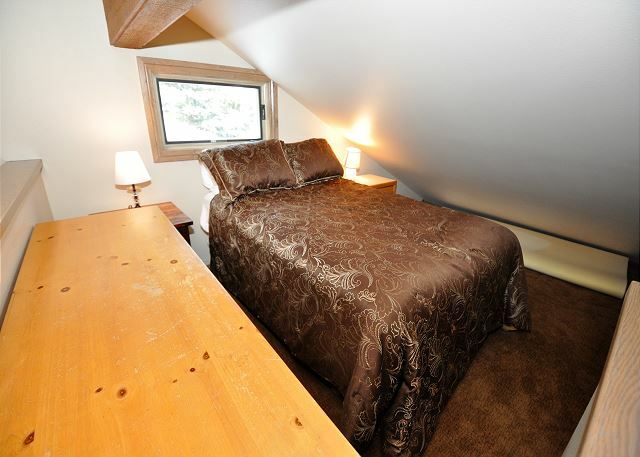 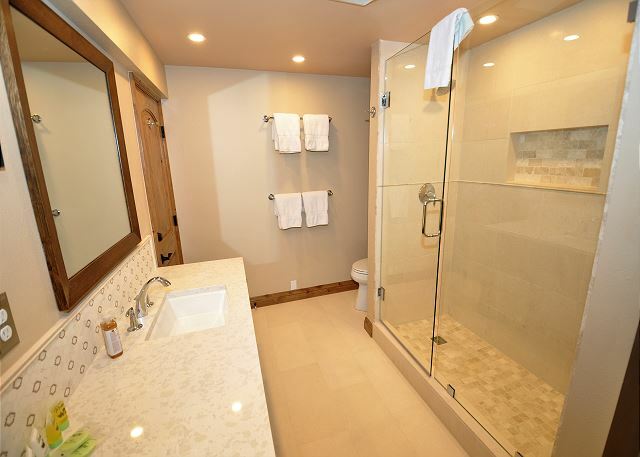 4 full bathrooms are in the house and the property can accommodate up to 10 people. 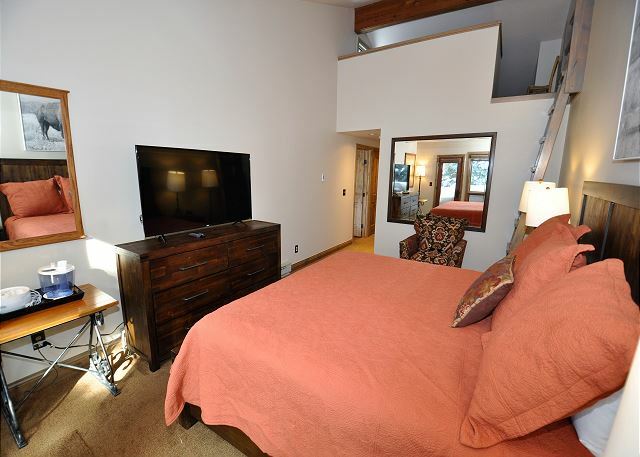 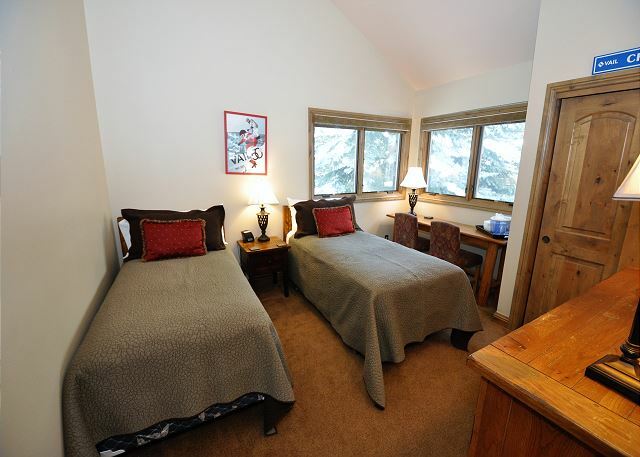 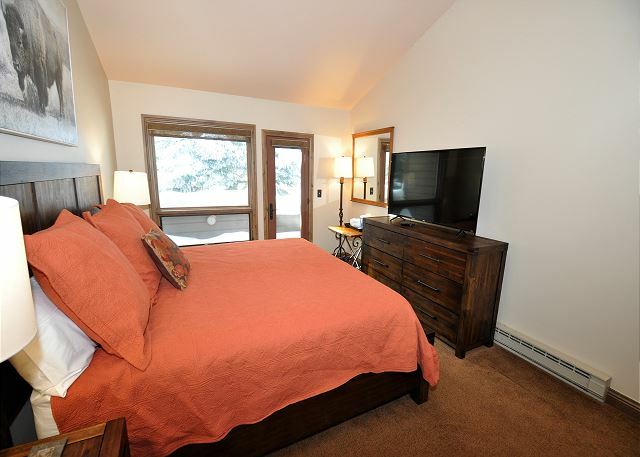 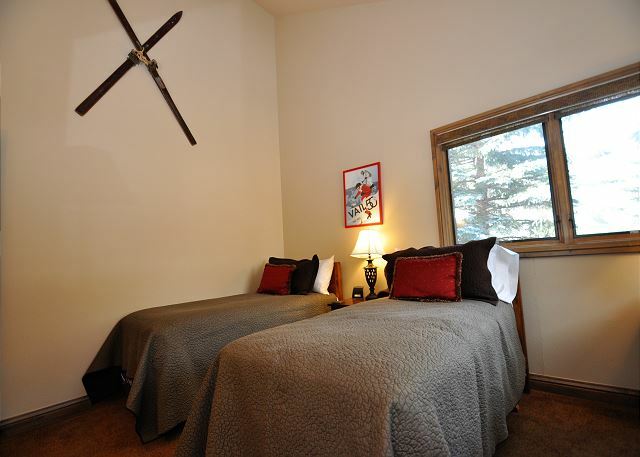 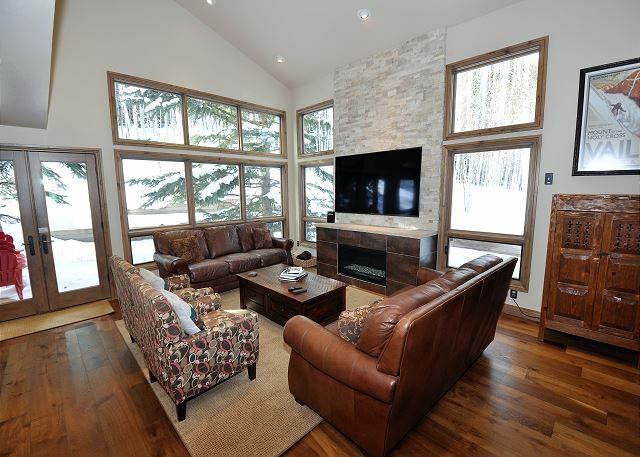 2 of the bedrooms are master suites with large beautifully remodeled ensuite bathrooms.The spacious open floor plan in the living area boosts comfort and beauty with a large gas fireplace and incredible mountain views. 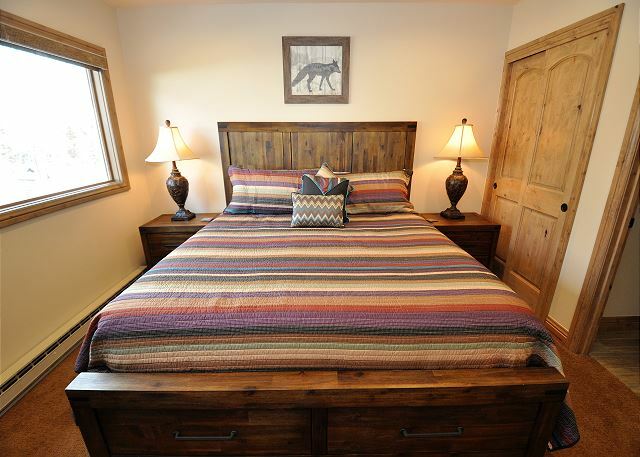 The home is nestled at the foot of the Gore Range surrounded by amazing vistas of the mountains. 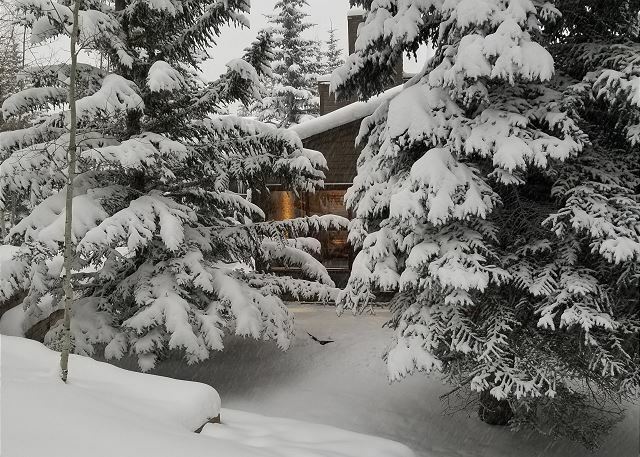 The Vail Racquet Club is across the road and will have a new restaurant/bar by mid January 2019. 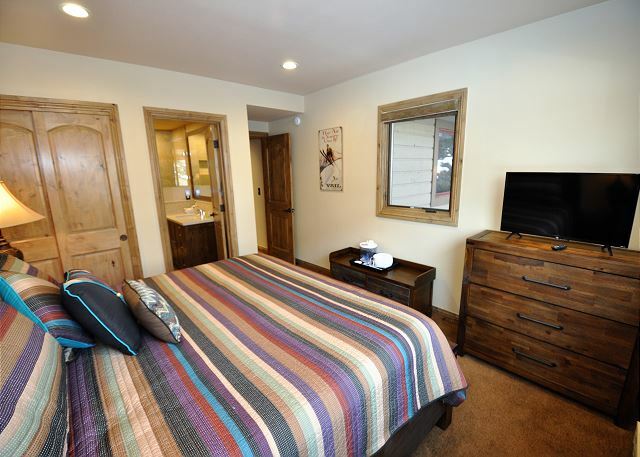 The free shuttle into the Village runs every 15 minutes until 2 AM and the stop is conveniently located across the street. 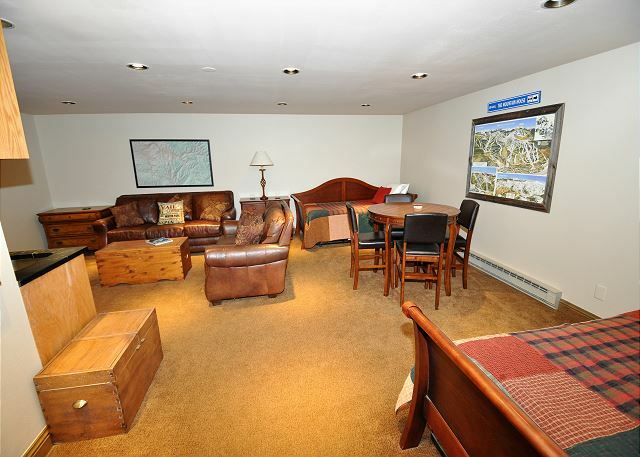 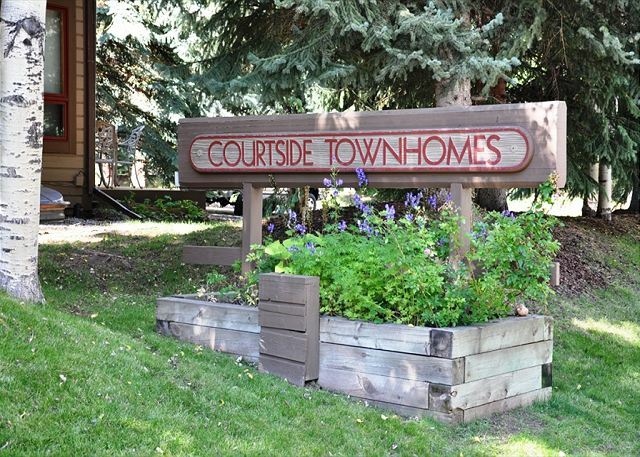 There is free parking next to the townhome as well as behind the garage. 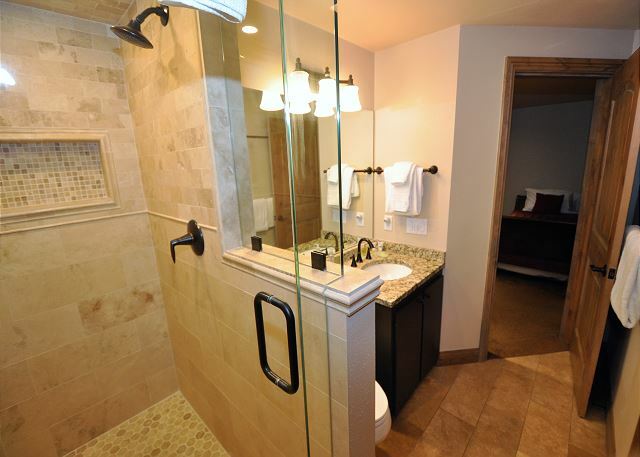 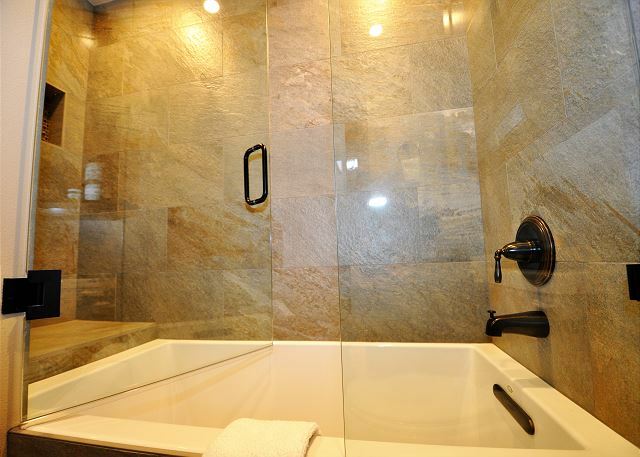 The owners have meticulously thought of every convenience and detail. 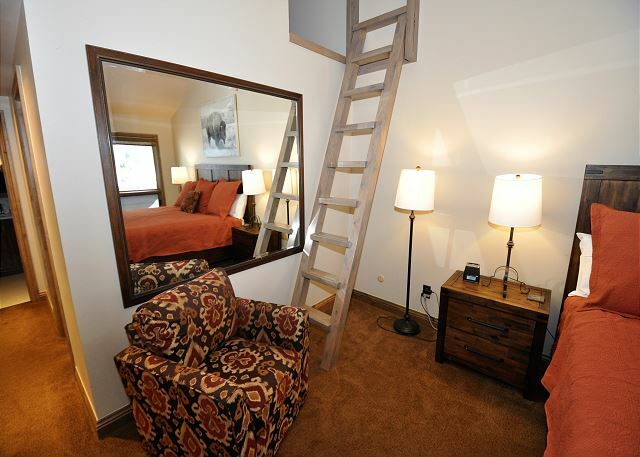 You will truly enjoy staying in this property. 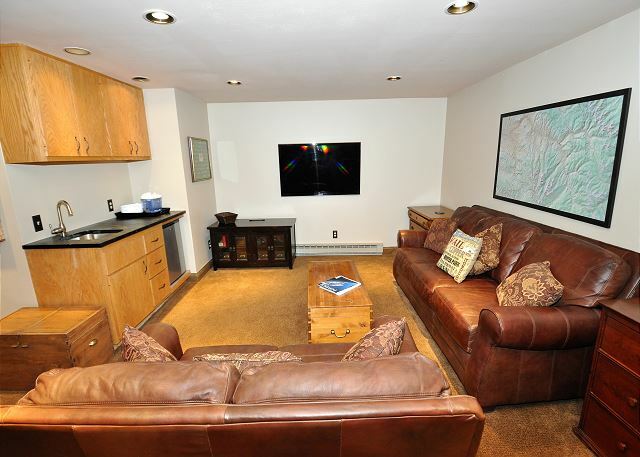 Please no pets and no smoking of any kind. 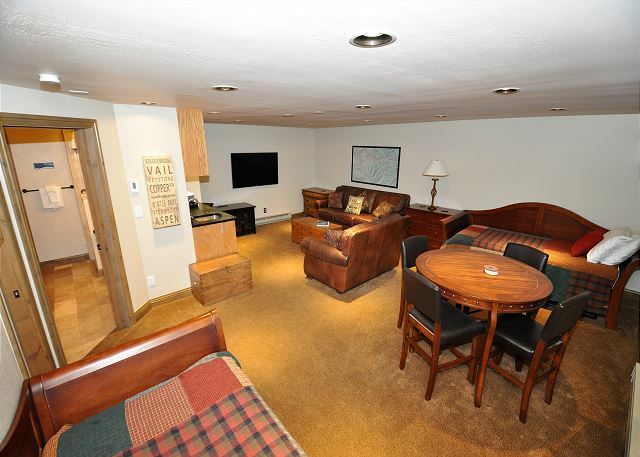 We used the townhome for a bachelor party weekend in late March. 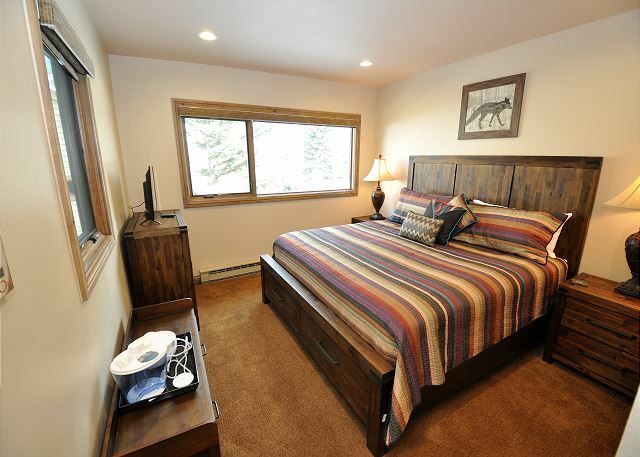 It had plenty of beds to accommodate 10-11 guests comfortably. 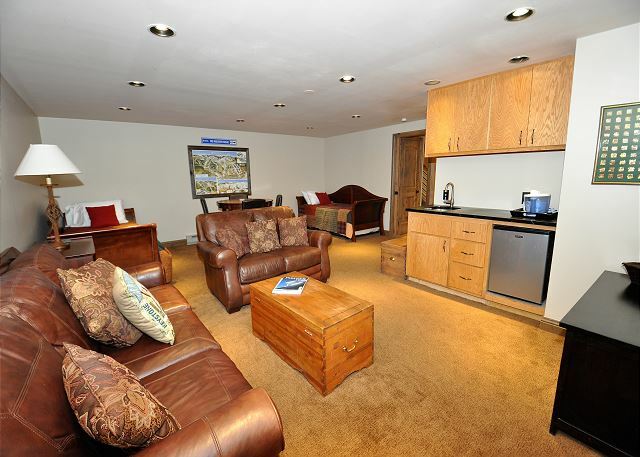 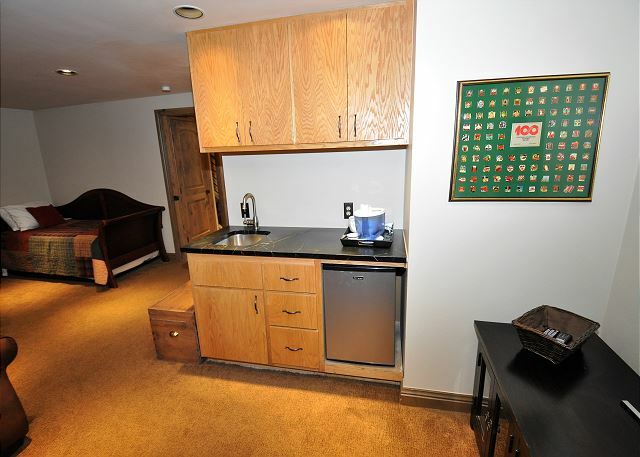 The home was clean with many great amenities, including a wonderful TV for watching NCAA basketball. 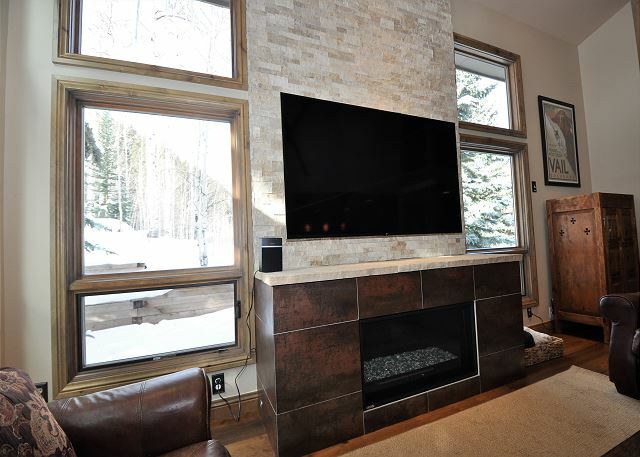 Only complaints are nit-picky: Couldn't get fire place to work (but didn't really need it for Spring Skiing weather). 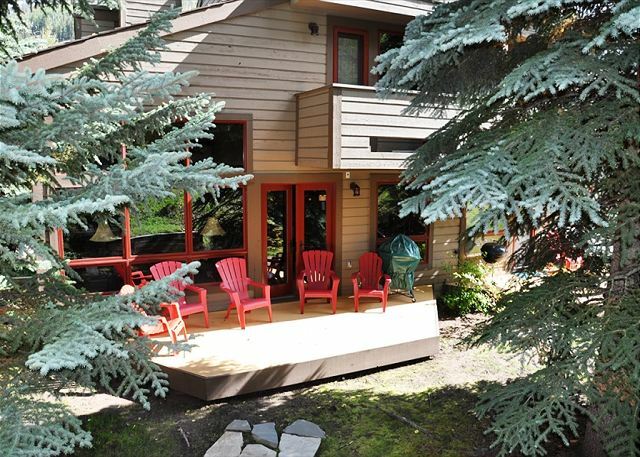 Also, someone's dog dropped a deuce right in the driveway, where I get in and out of my rental car.